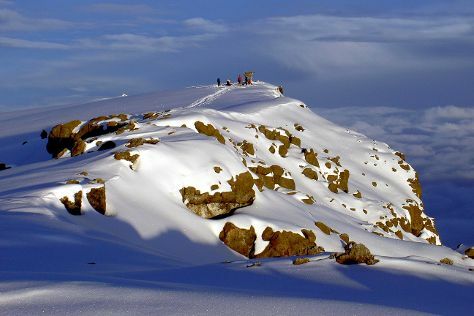 Visiting Mount Kilimanjaro and Ndoro Waterfall will get you outdoors. Go for a jaunt from Kilimanjaro National Park to Marangu to see Chagga Museum about 1h 15 min away. Spend the 25th (Thu) spotting exotic species with a safari tour. To see more things to do, ratings, maps, and other tourist information, you can read our Kilimanjaro National Park trip itinerary planning website . Amsterdam, Holland to Kilimanjaro National Park is an approximately 17-hour flight. The time zone changes from Central European Time (CET) to Eastern African Time (EAT), which is usually a 2 hour difference. On the 27th (Sat), wrap the sightseeing up by early afternoon so you can fly to Ngorongoro Conservation Area. 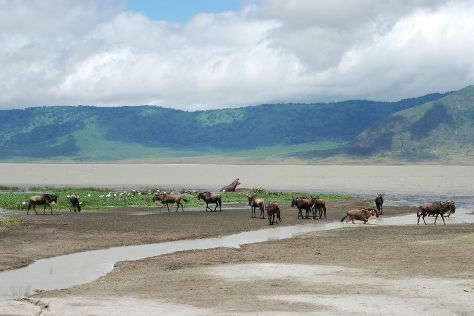 On the 28th (Sun), explore the striking landscape at Ngorongoro Crater. On the 29th (Mon), you'll have a packed day of sightseeing: make a trip to The Engare Sero Footprint Site. To see where to stay, maps, other places to visit, and tourist information, refer to the Ngorongoro Conservation Area online trip itinerary planner . You can fly from Kilimanjaro National Park to Ngorongoro Conservation Area in 3.5 hours. Another option is to do a combination of flight and taxi. You'll have a few hours on the 29th (Mon) to wrap things up before traveling to Serengeti National Park. Step out of the city life by going to Oldupai Gorge and Serengeti Hippo Pool. Spend the 1st (Thu) exploring nature at Seronera. Spend the 2nd (Fri) exploring nature at Serengeti National Park. The adventure continues: enjoy unforgettable views with a balloon tour and explore the striking landscape at Naabi Hill. To find more things to do, traveler tips, reviews, and more tourist information, use the Serengeti National Park trip planner. Getting from Ngorongoro Conservation Area to Serengeti National Park by car takes about 4 hours. Finish your sightseeing early on the 2nd (Fri) to allow enough time to travel to Nungwi. Step out of the city life by going to Cheetah's Rock and Nungwi Beach. 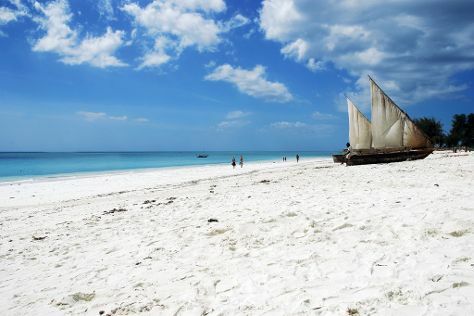 Your itinerary includes some good beach time at Kendwa Beach and Matemwe Beach. 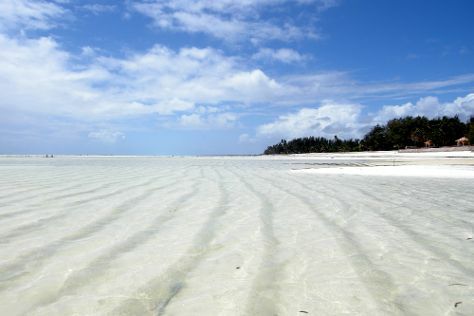 Explore the numerous day-trip ideas around Nungwi: Kiwengwa (Kiwengwa Caves & Kiwengwa Beach) and Mnemba Atoll (in Unguja City). Next up on the itinerary: see some colorful creatures with a scuba or snorkeling tour, get some thrills out on the water with a waterskiing or jet-skiing adventure, browse the exhibits of Dr. Bulugu Gallery, and admire nature's wide array of creatures at Baraka Natural Aquarium- Nungwi. To see more things to do, other places to visit, photos, and more tourist information, read our Nungwi vacation planning app . Traveling by combination of flight and taxi from Serengeti National Park to Nungwi takes 3.5 hours. Alternatively, you can do a combination of taxi and flight. Expect a daytime high around 34°C in August, and nighttime lows around 26°C. Cap off your sightseeing on the 9th (Fri) early enough to go by car to Paje. You'll get in some beach time at Paje Beach and Uroa Bay. Get in touch with nature at Jambiani Beach and Zanzibar Butterfly Centre. When in Paje, make a side trip to see Space Station Zanzibar in Tunguu, approximately 1h 10 min away. Next up on the itinerary: explore the striking landscape of Jozani Chwaka Bay National Park, see some colorful creatures with a scuba or snorkeling tour, head outdoors with Kite Dream Zanzibar, and explore the fascinating underground world of Kuza Cave. To see ratings, more things to do, where to stay, and tourist information, you can read our Paje road trip planning tool . Traveling by car from Nungwi to Paje takes 2 hours. August in Paje sees daily highs of 34°C and lows of 26°C at night. Cap off your sightseeing on the 16th (Fri) early enough to travel back home.